The link between profit and hard costs is well known: income minus your overhead equals your margin, which makes the need to track and minimize those hard costs both obvious and integral. And these hard costs are just one of the reasons why preventative HVAC maintenance is essential to your bottom line. Not only does a maintenance plan extend the life of your equipment, it brings down your overhead by reducing energy consumption and minimizing costly equipment failure. But ‘soft costs’ – expenses without a dedicated line on your balance sheet – are just as real, and equally deserving of attention. The truth is, many property owners and managers overlook the soft costs associated with HVAC operations, even though this is where HVAC maintenance can make or break your bottom line. Where HVAC affects your profitability. Your HVAC system may be one of the easiest parts of your infrastructure to ignore, but it bears a tremendous impact on your profit margin. But what are the sources of these soft costs that have such a strong effect on your bottom line? Comfort (or the lack of it) plays a significant role in a business transaction, and the same applies with a tenant relationship. If your commercial space is too cold, the office too warm, or the aisles too drafty, you compromise the happiness of your tenants, and risk them bringing their business elsewhere – all due to preventable HVAC issues. A poor-performing HVAC unit can also sap your team’s productivity, another important soft cost. Discomfort contributes to low morale and underwhelming performance, while a well-managed indoor environment enhances people’s moods and helps them perform at their best. When your HVAC unit fails outright, you often have to disrupt (and in some cases shut down) business to fix it. These emergencies have an incredibly high cost associated with the downtime, but they are not inevitable. Taking the appropriate steps to ensure a healthy HVAC system can prevent both the hard cost of repairing the unit, as well as the soft cost of lost time at work. The upfront cost of an HVAC maintenance contract is an investment that protects you from low performance, lost customers, missed opportunities and downtime. At Reitmeier, we work with our clients to develop a preventative maintenance plan that improves profitability by meeting the unique needs of their HVAC system. Prevent problems. 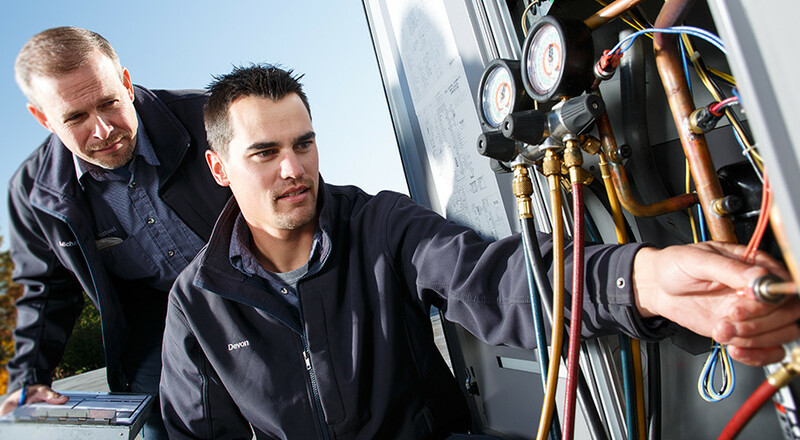 We provide regular checks on equipment and performance for our HVAC contract customers, harnessing our expertise to identify areas of concern, and making plans to correct them before they become a problem (and a hard cost). Budget better. When you know your maintenance needs in advance, you can set aside funds to address them on your own timeframe – opting out of the vicious cycle of immediate emergency expenses. Be first in line. If an emergency does take place, your maintenance contract provides you with immediate attention from our experienced team. We prioritize the needs of our contract customers, which means you have HVAC service at ready, even when demand is high. In HVAC, as in business, it pays to make smart, long-range decisions that balance cost, risk and profit for the most effective results. By establishing a preventative maintenance contract with a dedicated HVAC service provider, you’re contributing to the financial success of your property as a whole – keeping soft costs and hard costs alike to a minimum. Want to learn more about our approach to preventative maintenance? Click here to read more about what we do, or contact us today!